Relax. All your worst nightmares will soon prove to be futile fantasies. With just one phone call. Once we walk into your home, you can leave all your worries behind. 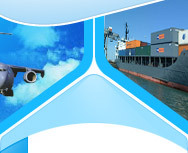 At AIMS Logistics, we have years of experience in providing relocation services across the globe. We are also in the business of freight forwarding and pet moving. We ensure that every little piece of your belonging, including your pets, is safely transported to your new location, without even a dent. So, if you need global expertise in relocation services, freight forwarding or pet moving, AIMS Logistics is your solution.